Thoroughly enjoyed staying here. Yioula is a lovely warm host and we were very well looked after. The apartment was quiet and situated right in the centre of the village where everything is within walking distance. 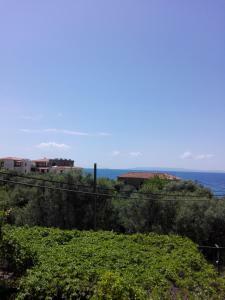 A very calm stay with a real sense of Greek hospitality. 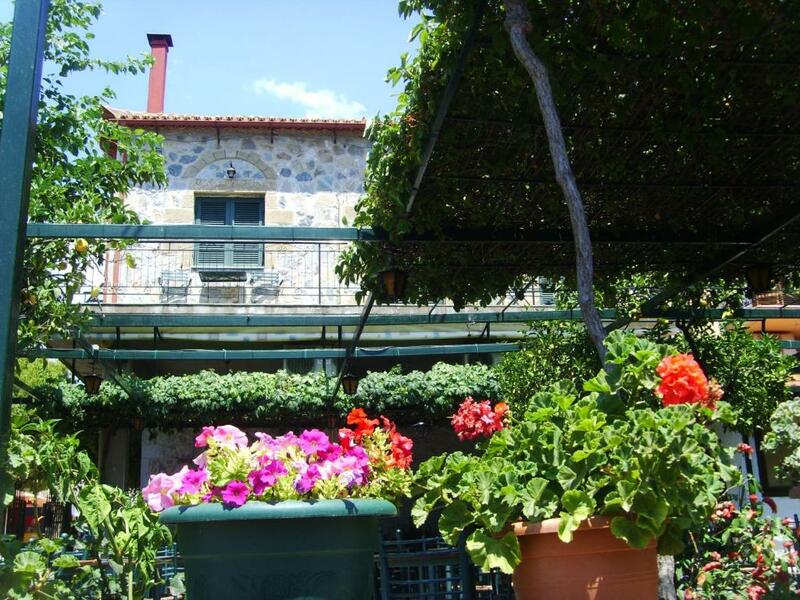 We enjoyed many of the dishes in the restaurant and their house wine is excellent. We asked for a number of dishes that the kitchen prepared for us the next day which was very accommodating and very much appreciated. The food was lovely, we particularly enjoyed the fava, stuffed tomatoes, veal stefado and lovely salads and greens. In fact we enjoyed the traditional Greek food so much we decided to eat our way through the menu on consecutive nights. So a big thank you from us for making our stay so enjoyable. 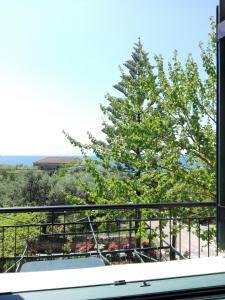 The location is great, close to the sea and if you are ;lucky you can see it from your window. 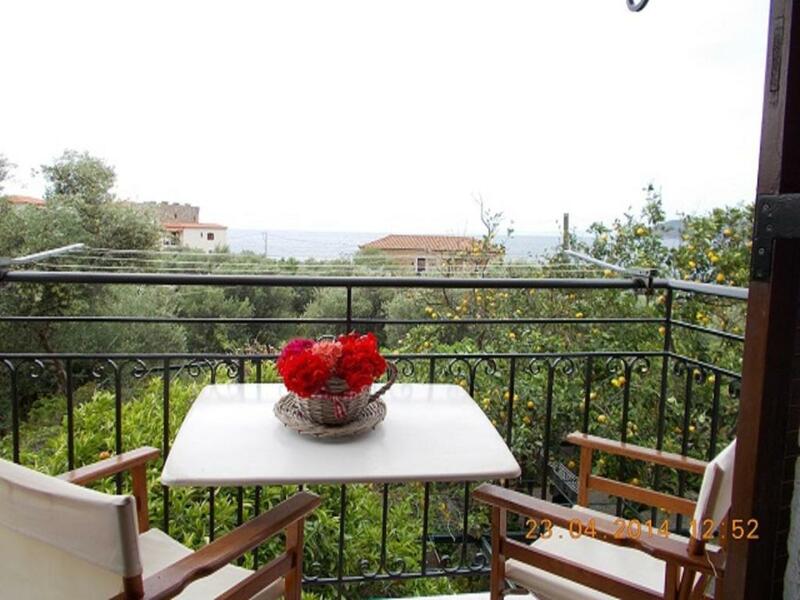 Great location with a balcony overlooking the square. Καταπληκτική θέα, ωραίο, περιποιημένο και καθαρό δωμάτιο, με καλά στρώματα. Το σημείο είναι τέλειο γιατί είσαι δίπλα στα πάντα. Το χωριό ιδανικό για χαλάρωση! Οι οικοδεσπότες εξυπηρετικοτατοι και πολύ φιλικοί. Die Unterkunft liegt mitten im Kern des hübschen Städtchens und doch nur zwei Gehminuten vom nächsten Strand entfernt. Die Gastgeber sind zuvorkommend, hilfsbereit und freundlich. Auf dem Balkon mit Meersicht genossen wir unser in der kleinen Kochnische selbst zubereitetes Frühstück. 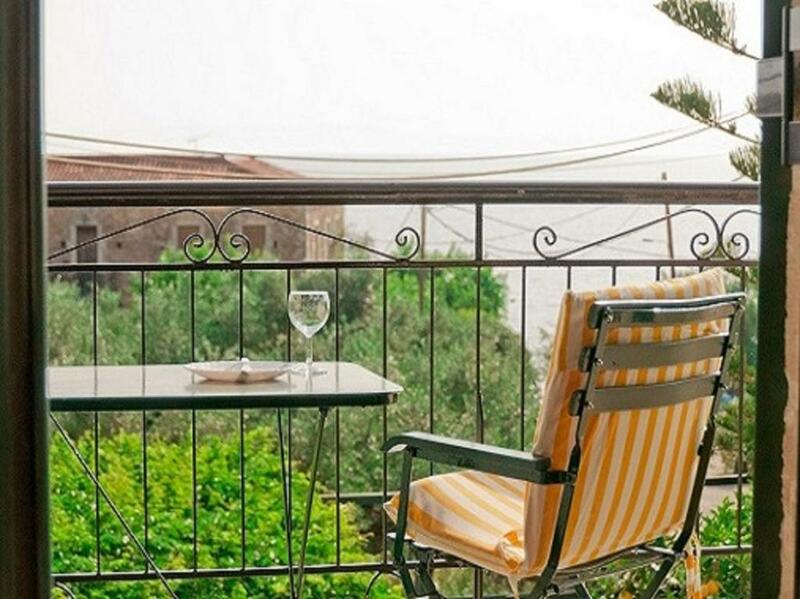 Lock in a great price for O Kipos tis Skardamoulas – rated 8.8 by recent guests! 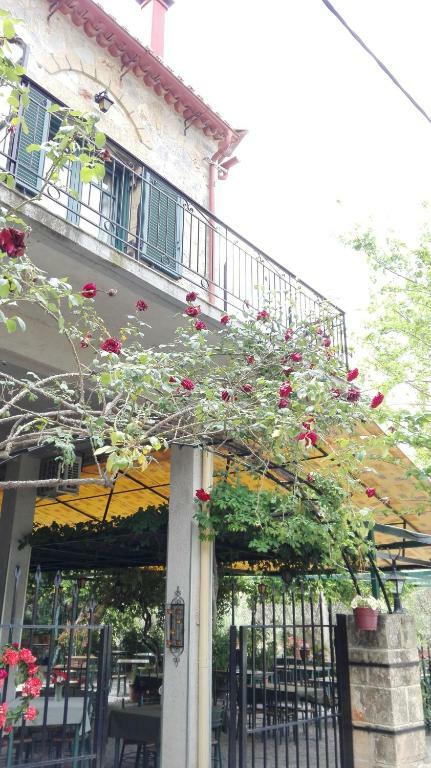 Located in the scenic Kardamyli of Messinia, within a short walk from the beach, O Kipos tis Skardamoulas features a traditional restaurant amid its blossomed garden. 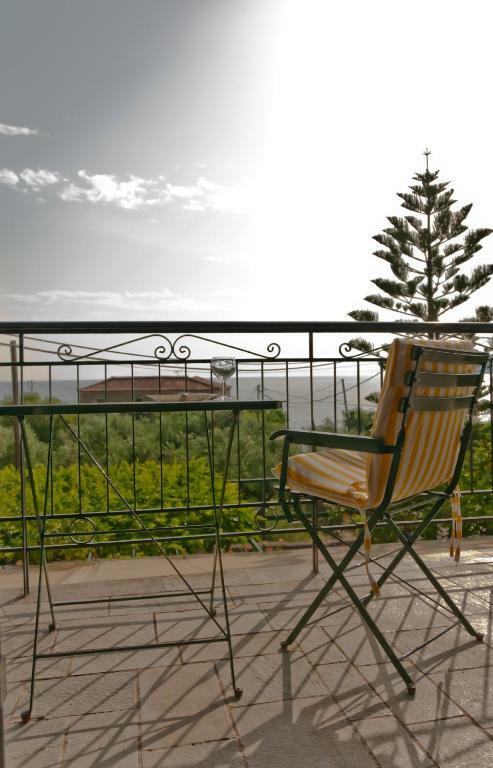 It offers studios with free Wi-Fi and views over the Messinian Gulf. 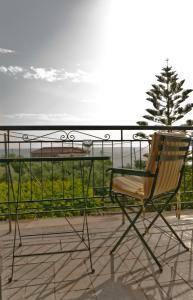 Opening to a furnished balcony, the air-conditioned studios are traditionally decorated with dark-wooden furnishings. Each features a kitchenette with fridge and cooking hobs, and a private bathroom with hairdryer. A fan and a TV with satellite channels are available, while a fireplace is also featured in some units. Guests can start their day with a continental breakfast served daily at the ground-floor restaurant, where local flavors prepared with fresh ingredients are also served for dinner. Kalamata Town lies within 22 mi from Skardamoula, while Kalamata International Airport is at a distance of 29 mi. 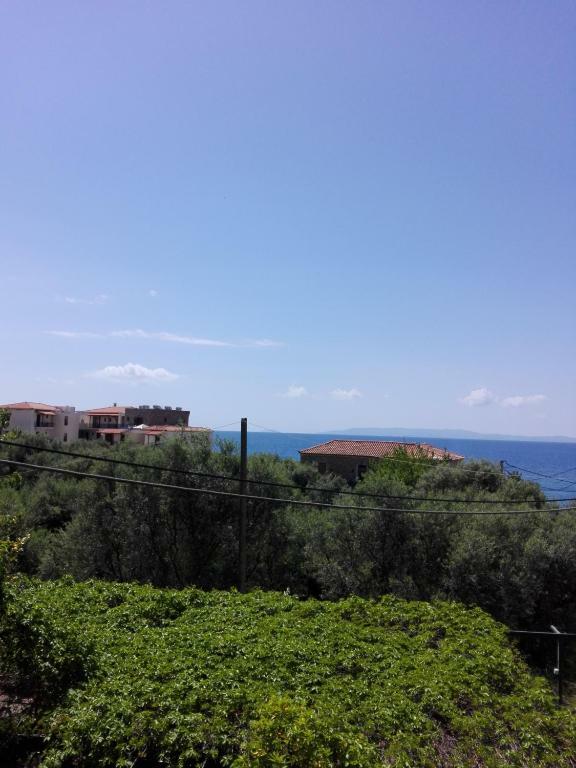 The lively Stoupa Village and the sandy beach of Kalogria are 5 mi away. Free public parking can be found nearby. 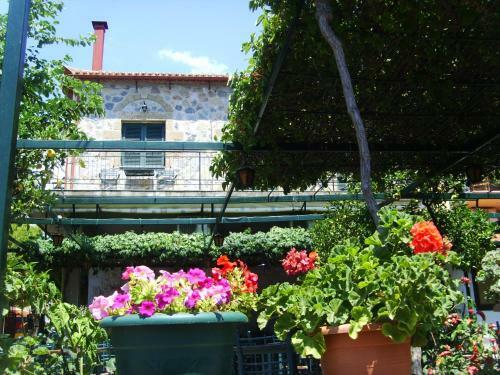 When would you like to stay at O Kipos tis Skardamoulas? 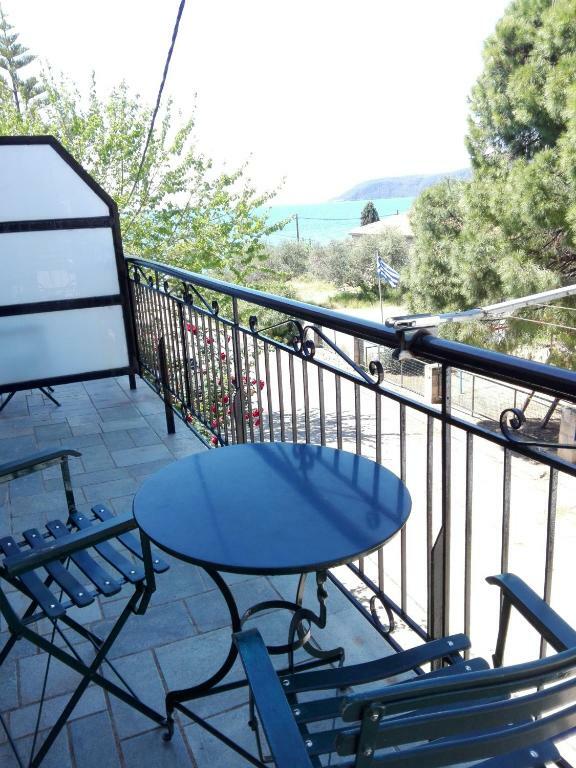 Air-conditioned studio with free WiFi and a furnished balcony overlooking the Messinian Gulf or to the mountain of Taygetos. It features a kitchenette with fridge and cooking hobs, and a private bathroom with hairdryer. A fan and a TV with satellite channels are available. 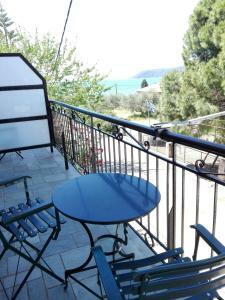 Air-conditioned studio with free Wi-Fi and a furnished balcony overlooking the Messinian Gulf. It features a kitchenette with fridge and cooking hobs, and a private bathroom with hairdryer. A fan and a TV with satellite channels are available. Some units also feature a fireplace. 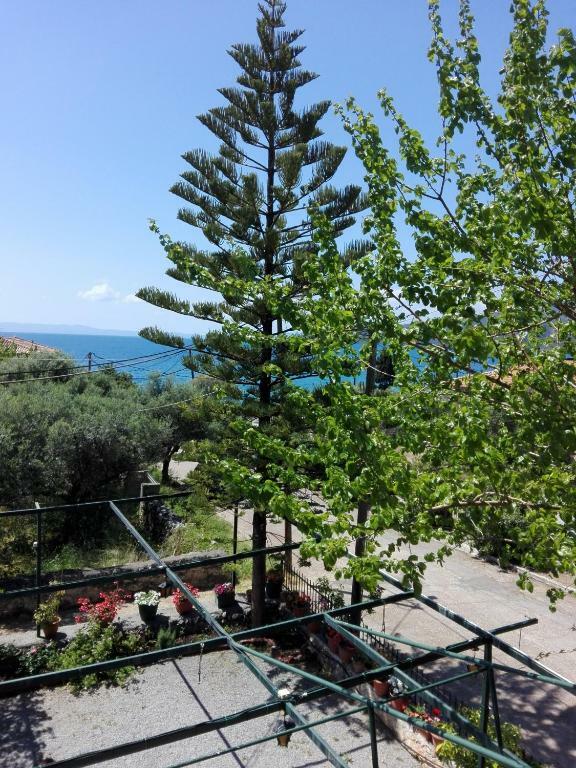 Air-conditioned twin/ double room with free WiFi and a furnished balcony looking the Messinian Gulf or the mountain of Taygetos. It features a kitchenette with fridge and cooking hobs, and a private bathroom with hairdryer. A fan and a TV with satellite channels are available. 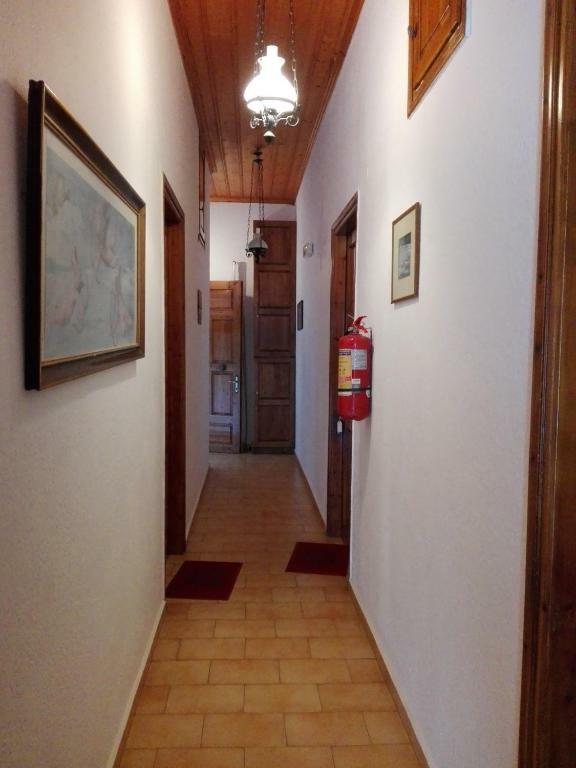 Our lodgings are suited at the centre of the village and 30 metres away from the sea-bay "salio",where the water is clear and sparkling blue.The market and the cafe are found in 10-50 metres.Our visitors may enjoy the relax because they don't need to use their car. Downstairs it is suited our restaurant o kipos tis Skardamoulas since 1981, in a garden with lemon and orange trees, where you may enjoy your dinner choosing between lamb in gastra, pork with honey, beef stifado and many other greek traditionalities with local recipies and products as olive oil,oregon,honey,meat from Taygetos mountain. We are waiting for you to try our best plates and enjoy our hospitality. 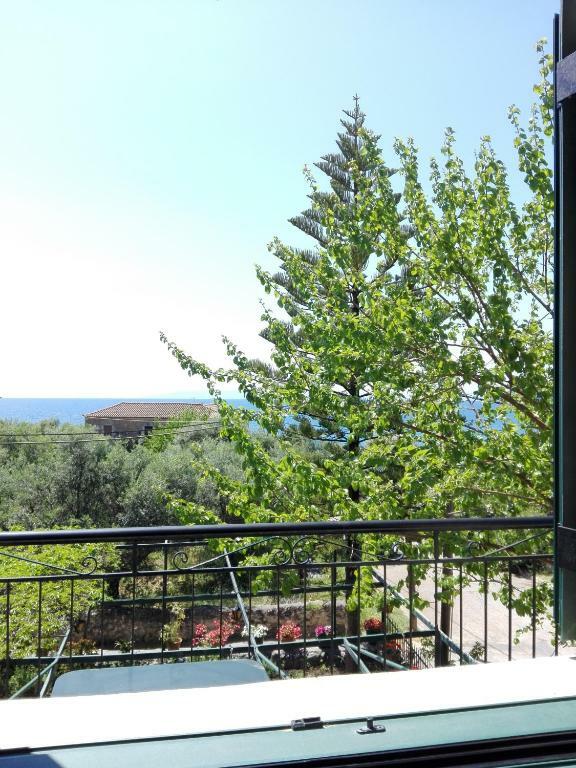 The lodgings are really close to everything the visitor may need.Nearby in, 20 metres, there is a small bay with clear blue water, where the visitor may enjoy his swimming any time he wishes. In a minute there are suited the super market, the pharmacy, three cafe, restaurants and of course tourist shops for special gifts. Opposite the street, it begins the pathway which leeds in 5 minutes to the old town "old Kardamili" with the towers and the museum.Finally, as for our little friends, there is a small playground just opposite our lodgings. House Rules O Kipos tis Skardamoulas takes special requests – add in the next step! Kindly note that cleaning service and change of bed linen and towels are provided every two days. Friendly English speaking Greek hosts. Room could have been a little bigger. Wifi was pretty bad. The rooms are dated and the pictures on the site are too flattering. The kitchenette could be a little cramped for a longer stay. The bed was more comfortable than usual.